It is one of the most dangerous things happened for data loss when it comes from SD card or memory card. While some users perform SD card recovery online, the SD card recovery programs that are downloadable and installed onto the system are always recommended. The reason is that they make sure the privacy and the overall data integrity is protected at all costs. 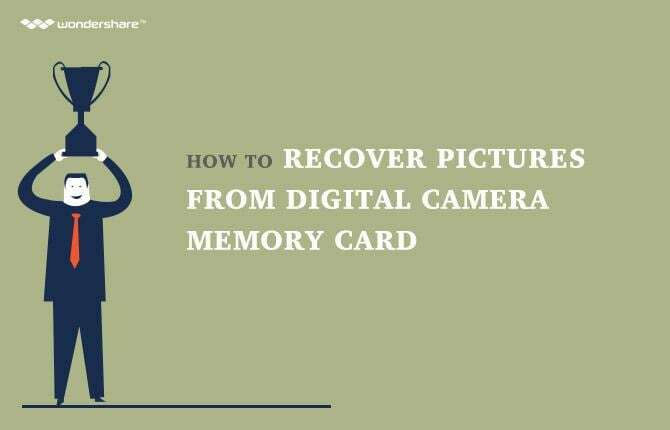 It is therefore highly recommended to never use the SD card recovery online that are available in this regard as they would not only get the user into issue but will also make sure that the best services are never provided in this regard. 1. Formatted card It is to be noted that if the SD card is formatted for any reason then without the best and the most used tools the user will not be able to the data with ease and satisfaction. It is therefore the first and the foremost issue that could be faced by an SD card user. 2. Inappropriate data transfer It is also regarded as the human issues that are related to the data loss and the resultant issue while using the SD card. It is advised to make sure that the data transfer to and from the SD card should always be done as per the standards so that the user finds no issue and the data remains there on the card slot. Free download Wondershare Data Recovery on your computer, with it you can easily and effective to perform deleted files recovery, partition recovery and RAW hard drive recovery. Follow the next simple steps to perform SD card data recovery. Step 1.	select the file type you want to recover, you can select the specific file type or select the option "All File Type" to start. Step 2. Select the lost file location, your formtted SD card will detected on the "External removable device" section. Select it and click "Start" to scanning lost data. Step 3. You can go to deep scan if quick scan can't find your lost data. The deep scan will deeply search your formatted SD card but it will take more time. Step 4. After scanning finished, you can preview the recovered data and click "Recover" to save another storage device. i. The sensitive data should b kept under password protection to make is securer and safer. iv. State of the art antivirus program should be used. It is one of the most disastrous disadvantages that is related to the online data recovery. The site that is being used might keep a copy of the information that has been retrieved and then it can be shared to other people and even the hackers. It is therefore advised to never make use of any such tool at any cost. The information that has been restored can also been used for wrong doings and in this regard the user remains unaware of the facts. It is also one of the disadvantages of the use of online tool that discourage the use of any such technology at all.